The Abu Dhabi City Municipality has announced that it has completed replacing more than 4,000 speed control panels in Abu Dhabi roads in a record time with the able support of Abu Dhabi Police. The project comes as part of the new law which has abolished the speed buffer system effective Sunday, reported state news agency Wam. Ahmed Mahfouz Baabid, the head of the Infrastructure Development team, said that the municipality replaced a total of 4,096 speed control panels in just one day. 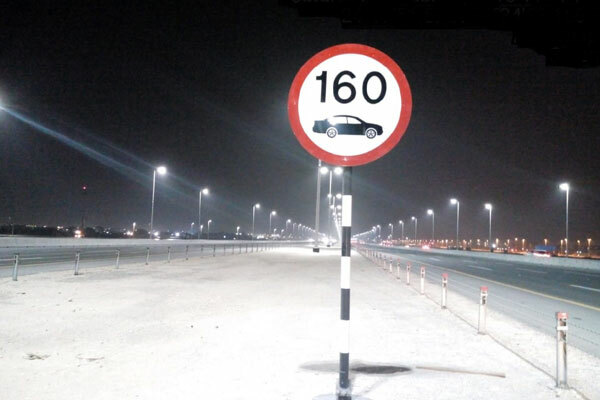 All these traffic signs that determine the speed limit within the geographical area of the municipality in the city have been replaced with new plates according to the new buffer, he stated. Lauding the Abu Dhabi Police traffic patrol for its logistical support, Baabid said the municipality was always keen to boost its co-operation with different national institutions, including Abu Dhabi Police for the benefit of the community.